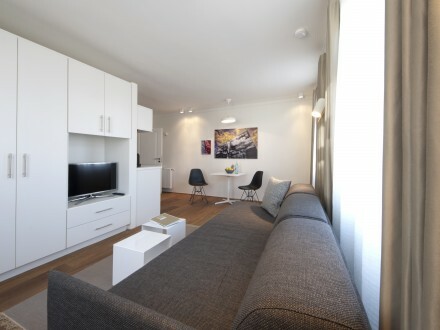 PTM is your specialist for exclusive Apartments in the Stuttgart Area. Our portfolio includes over 300 furnished apartments and single family homes. All apartments and houses are high class equipped and furnished. In addition to our free internet and cleaning service, our guests will find everything they need for a comfortable stay. On our subpages you will find many more information about temporary housing. If you are interested in our offer, please feel free to contact us at +49 711 – 912 55 913. Our service is free of charge for you. You save a lot of time in finding suitable accommodation for temporary living without incurring additional costs. We already offer numerous business people a second home. Call us to get your offer for the perfect apartment. Many large and well-known companies in the metropolitan area of ​​Stuttgart and Berlin are already among our customers. PTM takes care of accommodating your managers, employees, project teams, customers and suppliers if they are working at a different location for a certain period of time. 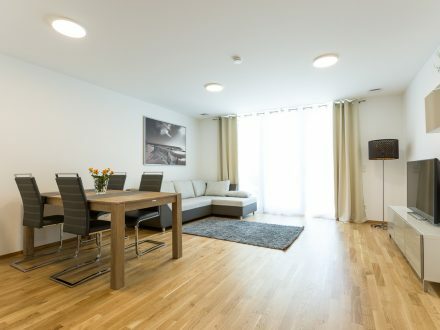 We offer temporary accommodation in modern and stylishly furnished apartments and houses – according to your individual wishes and requirements. For detailed information about how to handle user data, please refer to our Data Privacy. 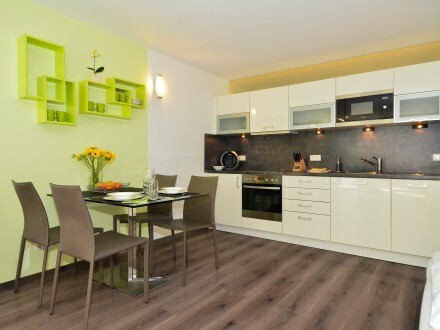 All apartments are individually and fully equipped. Enjoy the privacy of a self-contained apartment with the convenience of a hotel. Because only PTM conveys the “feeling of home”. You can pay easily and conveniently with your VISA or Mastercard. Of course, we also accept cost assumptions of your company. You decide what is most comfortable for you. I stayed at one of the PTM Apartments for 11 months, and I had great experience with their services. My cleaning service was thorough and timely each time, and the property manager was quick to respond to and resolve any issues that I had. I received great customer service from the team, and I would recommend their services to anyone. This is our second stay at PTM Apartments. 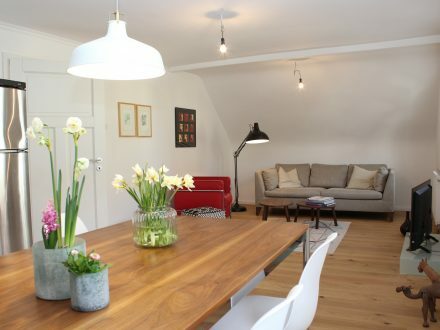 The first time I arrived in Stuttgart, it was great to get directly furnished apartment from PTM. When we returned to Stuttgart the second time, I knew exactly who to call. The furnished apartments are already beautifully furnished, with fully equipped kitchen (plates, knives, cooking utensils), towels and sheets. If you have ever booked with Airbnb; it is similar here, only better. I have always had a great location. It was always downtown, there was everything nearby and I did not even really need a car to get to work. However, there was underground parking for the car, and if you've ever tried to find parking in the city center, you know how important that is. PTM helped me on my way to Stuttgart and back out. Both times I had problems with my household goods, but Kai was very flexible and helped me on both dates with my move. I'm not sure how many landlords would have been as flexible as PTM was. Thank you Kai, when we need a place to live again, you will be the first one we call! PTM is fantastic. Kai made sure everything was done to make you feel at home. Paying and moving in and out were extremely easy. 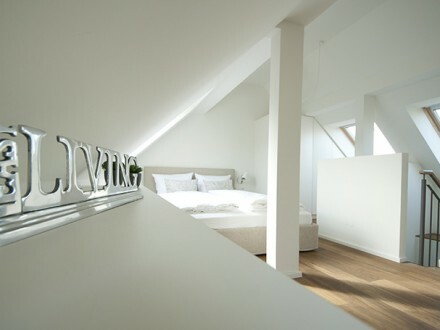 I recommend this company to anyone looking for a place to stay in Germany. I'm so glad I found Kai and his company PTM Apartments. They did everything they promised and even more. I would recommend PTM to anyone looking for a temporary home. 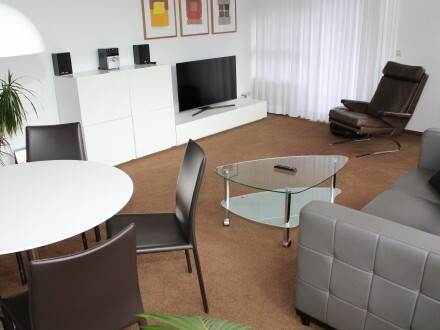 For our 2-month stay we got a fully furnished furnished apartment, including Internet, TV, telephone, etc. included in the price. Everything you need for a short stay was provided. PTM Apartments does an excellent job finding the right location and accommodation for you! I needed a residential location near AFRICOM or convenient to the city center. Kai and his team found a luxurious place for us, which was also affordable. I wanted to say thank you again for bringing me to this apartment. I had a great time and was able to experience a lot. The apartment felt like my own home, which was really great. I wish you the best with your business and if I come back someday, we will go to dinner and toast together. We stay connected. ... you have a very beautiful country, rich in culture and history, and we loved our stay here. The apartment is also a very convenient place and I will gladly recommend you to other members and families. Thank you for being so good to my family. I hope that I will come back to Stuttgart soon, then I will definitely get in touch. Thank you so much!